My mission is to serve the massage therapy community with the best writing, education, and art that I can provide. 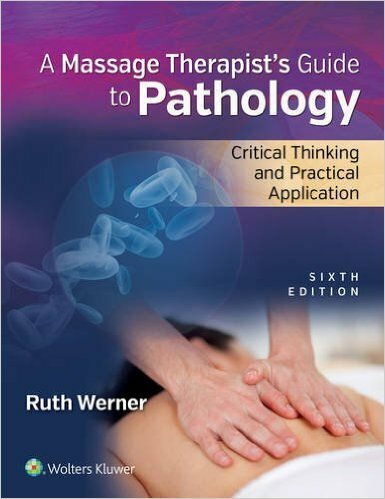 The first edition of my textbook, A Massage Therapist’s Guide to Pathology (MTGP) was published in 1998 with an expectation that it might sell a few thousand copies a year. It is now used all over the planet. The 6th edition is now available through my new publisher, Books of Discovery. I also write a column for the award-winning Massage and Bodywork Magazine called, “Pathology Perspectives”. 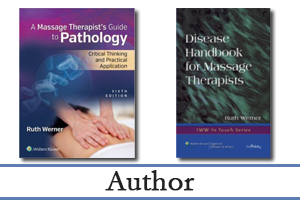 For more information and a decades-long archive of articles published in massage therapy trade journals, click here. 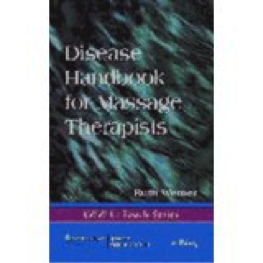 I started teaching massage before I graduated from massage school—which is a clue to how long ago that was. With the exception of a hiatus while my children were young, I taught continuously from 1984-2010 at schools in Washington, Massachusetts and Utah. In 2005 I was honored to be chosen as the Jerome Perlinski AMTA Council of Schools Teacher of the Year; I suspect that had a lot to do with how I explain irritable bowel syndrome (hint: my theatre degree comes in very handy in this discussion). 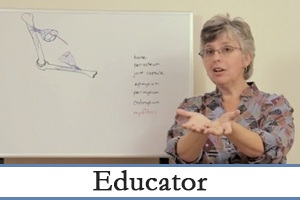 I no longer teach in core curriculum programs, but I have developed several live and online continuing education classes based on my expertise in pathology and related subjects. For more information about finding or hosting workshops or webinars, click here. Well into the second half of my life I am finally ready to say that I am an artist. 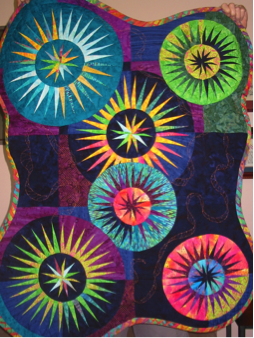 I have been making both decorative and functional quilts for 20 years, and I recently began dyeing my own fabric. 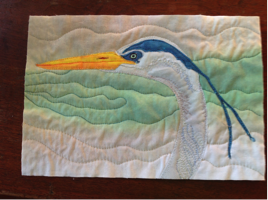 Now that obsession has spilled over to dyeing, printing and painting silk and bamboo as well as cotton, and I spend as much time as I can putting color on cloth and then combining the results in new ways. I am willing to take on special commission projects, especially if they are intended to be used as fundraisers for the Massage Therapy Foundation or other non-profit organizations. 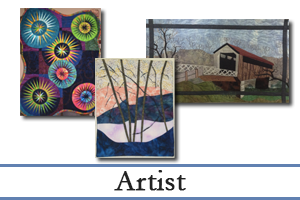 To learn more about my artwork, and maybe to engage in a little self-indulgence, visit my gallery here. 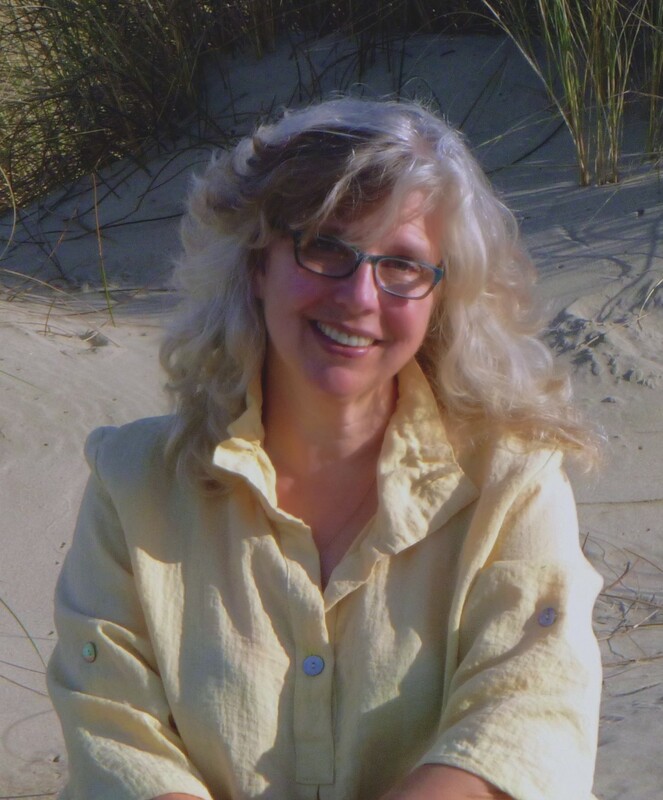 I am proudly Board Certified in Therapeutic Massage and Bodywork (BCTMB), and a member of Associated Bodywork and Massage Professionals (ABMP) , the International Fascia Research Society, and the Alliance for Massage Therapy Education. I contribute to my professional community by volunteering wherever my skills may be most useful. These experiences have created countless opportunities for me; I am so grateful to the people who invited me to be a part of their group. Blog of the Pathqueen #002: Do You Have Clients with Diabetes? Blog of the Pathqueen #001: What’s On Your Mind?